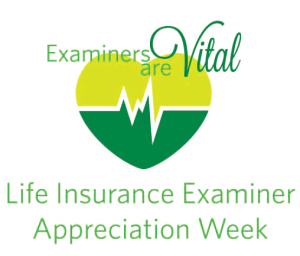 I am proud to announce ExamOne will launch the inaugural Life Insurance Examiner Appreciation Week August 28 – September 3, 2016. An important component of applying for life insurance is the paramedical exam required for many policies performed by our examiners every day. As we strive to make this step in the process of protecting one’s family an easy, convenient and pleasant experience, we want to recognize the vital role examiners play in this process. During the last week in August, join me in recognizing the examiners who are committed to providing an excellent experience for life insurance applicants each day. We employ more than 2,200 examiners who represent the insurance companies we serve when they perform an exam at an applicant’s home, workplace or one of our paramedical service centers. There are also thousands of independent examiners that work for ExamOne and other paramedical companies that are helping more families be protected by life insurance. No matter who they work for, we are all working toward this common goal – and I thank you. This week is also another opportunity to raise awareness of our changing industry and how it affects our frontline employees like examiners. We recognize that applicants, more and more, demand convenience and choices when applying for life insurance. ExamOne has addressed this trend and not only do our examiners now go to the applicant, but we also see an increasing number of applicants scheduling an appointment with examiners at one of our 200 ExamOne paramedical service centers or 700 Quest Diagnostics® Patient Service Centers. 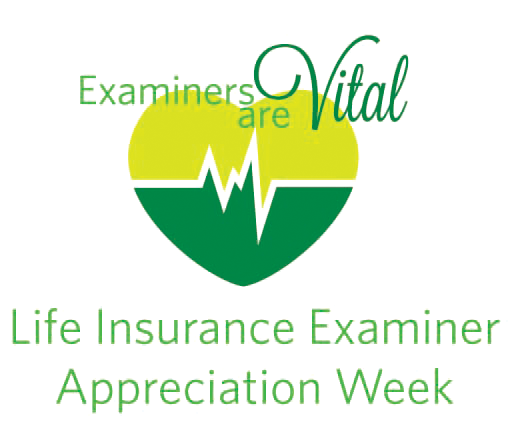 Either on the go, or at a paramedical service center, we want to recognize and appreciate our dedicated life insurance examiners every day, and especially this week. Join me in sharing your appreciation for these vital team members on social media using #LifeInsuranceExaminerWeek. Plus, join our growing community of examiners by following our ExamOne Examiner LinkedIn page. Previous post: More options = happier applicants!